On the eve before Thanksgiving, the price action in the currency market has been very erratic. 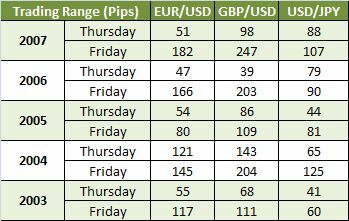 Equities rallied for the fourth straight trading session while the US dollar weakened against the Australian and New Zealand dollars but strengthened against the Euro, British Pound and Japanese Yen. Currencies appear to be decoupling from equities on this low volume pre holiday trading session. Over the past few weeks, strength in equities has translated into strength in the EUR/USD but that was not the case today. US economic data was very weak, but hope continues to supersede reality as President Elect Barack Obama adds former Federal Reserve Chairman Paul Volcker to his team. Rather than having to pick from Timothy Geithner, Larry Summers and Paul Volcker, Obama has decided to add all 3 of these well respected and talented men to his Economic Dream Team. The equity markets turned around after Obama announced that Volcker will the Chairman of a new White House advisory board that is tasked with stabilizing the financial markets and pulling the US economy out of recession. This new Economic Advisory Board will give their opinions in briefings to the President and include experts outside the government with the goal of “infusing ideas from across the country and from all sectors of the US economy.” Even before taking office, Obama is proving to be a President who wants to hear every possible viewpoint before making his decisions. He is on track to hit the ground running come January 20th and the equity markets have responded very favorably to his appointments and the initial details of his economic recovery plan. Over the next 24 days, Obama will play a critical role in helping to maintain confidence in the financial markets. Confidence will be extremely important as the US economy continues to come face to face with weak economic data. 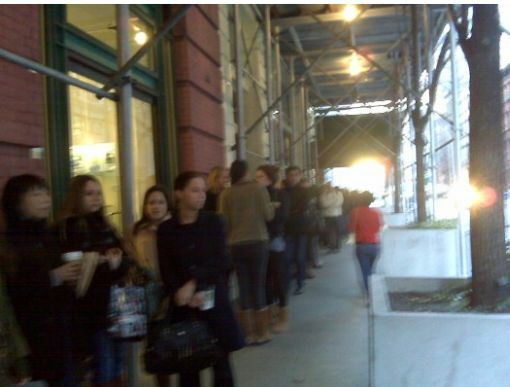 On the eve of Thanksgiving, we have had a harsh reminder of the problems plaguing the US economy. With the shortened holiday trading week, there were a lot of US economic data released today and a number of those indicators hit multi-year lows. As we have previously warned, because third quarter GDP only slipped by 0.5 percent, fourth quarter GDP could be very weak. Is There a Risk of a Breakout on Friday? For the currency market, the Thanksgiving Day holiday usually leads to low liquidity and thin volumes. Although this should mean range trading for all of the major currencies, watch out for a post Thanksgiving Day breakout. Low liquidity makes it extremely easy to exacerbate the volatility that we have been seeing in the currency market. 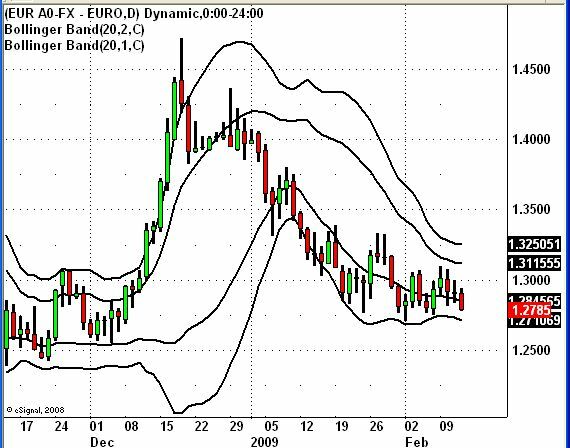 In 2007 and 2006, the EUR/USD’s trading range on the Friday after Thanksgiving was more than 3 times its trading range on Thanksgiving Day. Every single day we have more reason to believe that the US unemployment rate will break 8 percent next year. 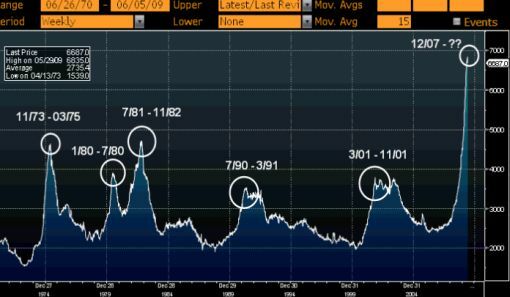 Jobless claims rose to a 16 year high last week of 542k, driving the US dollar lower against the Japanese Yen. Continuing claims rose to 4.012 million, the highest level in close to 26 years. The most powerful aspect of today’s report is the fact that the Veteran’s Day Holiday usually pushes jobless claims down which suggests that if there wasn’t a holiday, jobless claims could easily surpass 550k. There is no question that the US labor market is in trouble and non-farm payrolls will continue to drop. However, with major layoffs from companies like Citigroup, there is a decent chance that we may see non-farm payrolls double dip like it has in past recessions. In analyzing non-farm payrolls data during the last 3 recessions, we see that at the beginning of an official recession, as defined by the National Bureau of Economic Research, non-farm payrolls start to decline rapidly. However after falling between 200k and 300k, job cuts stall and then pick up once again. We saw this trend in the 1981 to 1982 recession, the 1990 to 1991 recession and during the 2001 recession. 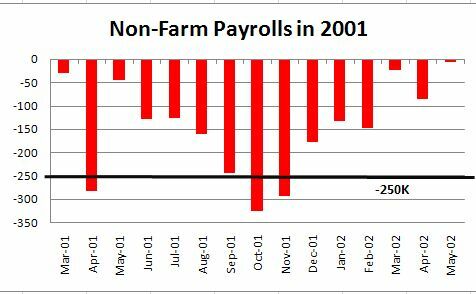 Therefore don’t expect the labor market to stabilize anytime soon – non-farm payrolls should top -300k, stabilize and then revisit that level once again in the first half of 2009.